The Bumbleride Natural Edition Indie stroller is not your average all-terrain stroller. Bumbleride Indie and Indie Twin are equipped with 12" air filled tires to help smooth out the bumpiest of terrains. With Bumbleride, you and your tot (or tots) can easily stroll city streets, but you can just as easily venture onto nature. Bumbleride's wheels can manage rough walking trails at parks, cruise the beach and other not-so-easy terrains. 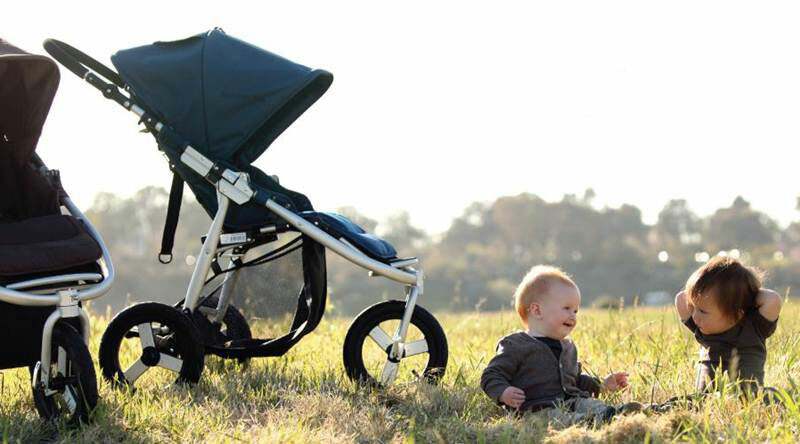 Beyond the anywhere-goes convenience of owning a Bumbleride, these strollers have some cool eco-minded features in place as well, not to mention a modern, stylish design. Each sleek Bumbleride Natural Edition Indie stroller features exterior fabric that’s made with 50% recycled material. Better yet, all seating surfaces are made with 50% bamboo fiber, a rapidly renewable and quick growing material, which is the ideal eco-friendly seating surface for your baby because it naturally helps regulate your baby’s body temperature and allows for natural moisture absorption – awesome since babies can get overheated and sweaty fast! Best of all, Bumbleride Natural Edition Indie and Indie Twin are available in two colors, Walnut and Ocean, that won’t show off all that dirt you and your baby accumulate on your nature adventures. If you’re looking for the eco-friendly stroller features above, but in a lighter, less rough-and-tough package, then you’ll want to check out Bumbleride Flite. Flite blends the eco-features found in Indie, but with smaller tires and a super lightweight aluminum frame that folds up ultra-slim so you can easily stow it away in the tightest of spaces. Each sleek Bumbleride Natural Edition Indie stroller features exterior fabric that's made with 50% recycled material. Better yet, all seating surfaces are made with 50% bamboo fiber, a rapidly renewable and quick growing material, which is the ideal eco-friendly seating surface for your baby because it naturally helps regulate your baby's body temperature and allows for natural moisture absorption - awesome since babies can get overheated and sweaty fast! Best of all, Bumbleride Natural Edition Indie and Indie Twin are available in two colors, Walnut and Ocean, that won't show off all that dirt you and your baby accumulate on your nature adventures. 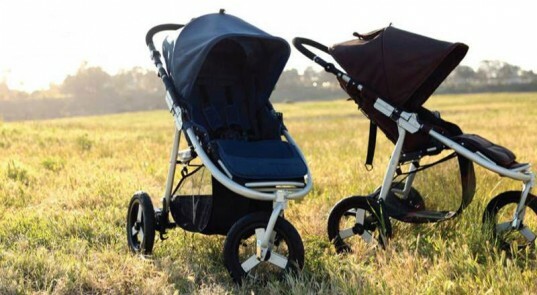 If you have two tots to transport, the Bumbleride Natural Edition Indie Twin is the way to go. If you're looking for the eco-friendly stroller features above, but in a lighter, less rough-and-tough package, then you'll want to check out Bumbleride Flite. Flite blends the eco-features found in Indie, but with smaller tires and a super lightweight aluminum frame that folds up ultra-slim so you can easily stow it away in the tightest of spaces.